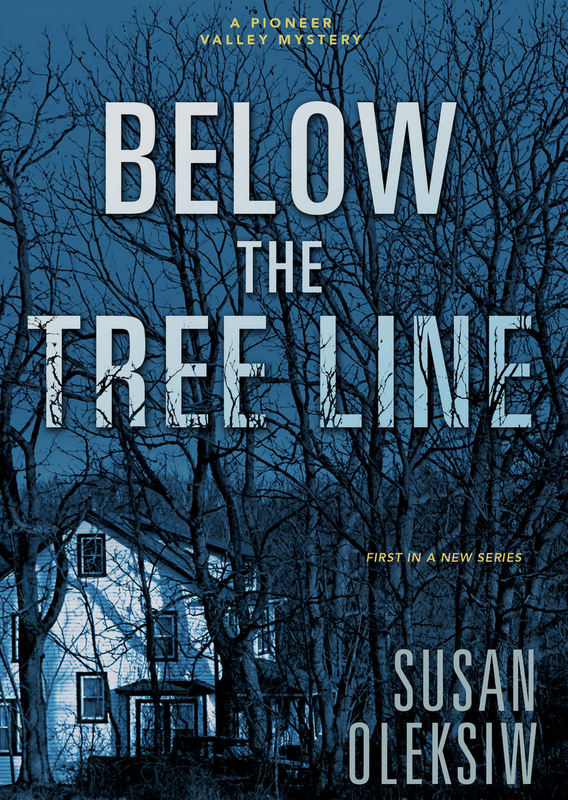 Susan Oleksiw writes in eastern Massachusetts, has set her two earlier mystery series in India and the New England Coast, and with BELOW THE TREE LINE returns to the farming communities of the Pioneer Valley of Massachusetts (along the Connecticut River). The first sentence of the book gives fair warning of what's to come: "On the third night Felicity lifted the shotgun from its place in the cabinet, and this time she loaded it." A single woman working out how to financially sustain an old farm (lease space to sheep that belong to fibre artists; charge fees to artists who want to paint the scene; a roadside stand of veggies), Felicity's far from prepared for the land scams and nighttime disturbances that take over her life. A shockingly large offer for the family farm triggers suspicion. But like a similar offer for her boyfriend's farm nearby, the money involved makes no sense. Except, of course, to hint that someone wants her off that land, fast. "It's police business, Felicity. I'm not going to tell you anything." "Okay, I won't ask. I rebuilt my farmstand this afternoon," Felicity said. "What were you doing out my way?" Felicity asked. "Oh, tell her, Kevin. She has a right to know," [Kevin's wife] Natalie said. And with shock, Felicity learns that one of the murdered women already had a domestic violence complaint on file. Red herring? Or actual reason for her death? A forest hermit who abruptly starts visiting national parks, a nasty neighbor or two among the good ones, a bobcat hanging out near her home -- there are a lot of distractions for Felicity as she struggles to uncover why death and threats are suddenly part of her daily life. Eventually they form a pattern that she almost understands. Readers of traditional mysteries will appreciate Oleksiw's careful laying out of plot and clues, as they will indeed have a chance to get close to who the murderer is and why, through paying attention. And though the very last twist is pulled out abruptly, it's a clever one, worth appreciating. Plot and pace are well done, in a workmanlike "amateur sleuth" form that's comfortable and satisfying. It's good to see the Pioneer Valley feature in this debut to a series, too -- lots of possibilities for future books. 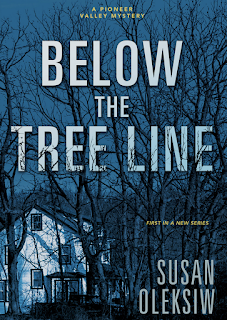 One intriguing twist to BELOW THE TREE LINE is Felicity's gift of healing hands, something she applies to diagnosing whether an animal is healthy, and assisting her boyfriend. Counter to expectations, though, there's no explanation of the gift and it plays no role in unraveling the murders. And the final scenes are a bit hasty, compared to the rest of the book. But these are small gripes, considering the overall pleasure of this mystery. Add it to the reading stack for relaxation and a chance to solve a well-posed puzzle of crime and motive. The book releases September 8, from Midnight Ink.